The Skitnica, translated into 'The Tramp' is more than just an aimless hobo wandering the sea. This 2005 Trawler 42 is as carefree and adventurous as its name suggests. Take this tramp out for cruise, standing at the cockpit for a stable and sturdy ride. Prepare a fresh meal of seafood and salad in its efficient kitchen and enjoy a good night's sleep in one of its 2 cabins. The boat sleeps up to 6, with 2 berths in the salon and 2 in each cabin. Discover local specialties, drink world-renowned wines, swim in one of the world's most beautiful seas. Sail around Vis and anchor in the charming town of Komiza, or discover the Blue Cave in the Island of Bisevo. 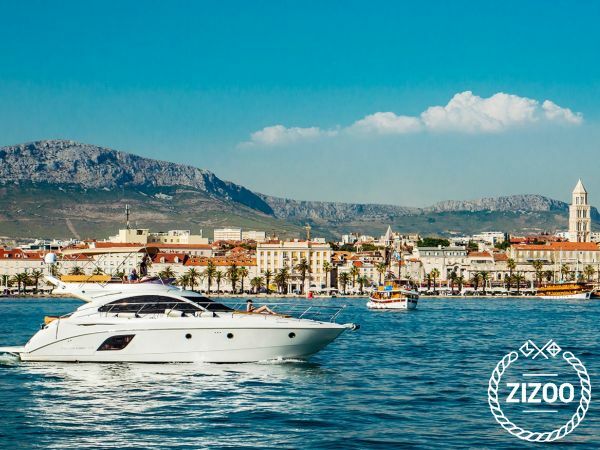 Take in the history of the old town of Trogir or dance the night away on the Island of Hvar. Contact the friendly charter crew for all your boating needs.